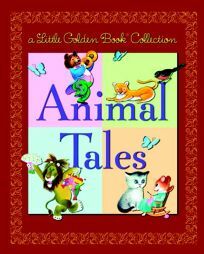 Contrary to the title, the paper-over-board A Little Golden Book Collection: Animal Tales is quite a meaty package, containing a baker's dozen classics, such as ""The Kitten Who Thought He Was a Mouse,"" ""Home for a Bunny"" and ""Tawny Scrawny Lion."" The tales appear with their original illustrations and feature gold-leaf trim along the pages' edges. .